This full-colour illustrated guide to the wide variety of species found in ponds and streams in Britain and northern Europe features plants, insects, mammals, reptiles, amphibians and birds. Each entry has its own detailed illustration, and full-colour photographs show selected species in their natural habitat. 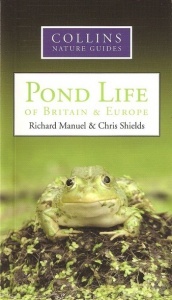 Covers the complete habitat of ponds and streams, including over 300 species of plant and animal that are visible to the naked eye.